On August 1, 2012 news sources began reporting the death of Abdi Jeylani Marshale, one of Somalia’s best known and loved comedians. While scrolling through Google News I saw the headline “Somali comedian who mocked Islamists is shot dead”. Long time readers know I’m a bit of an arm chair expert on Zimbabwean politics, but before you think I’m also some sort of Somali comedy aficionado, relax, I’m not that well rounded. Not too long ago the BBC News website ran a profile on Abdi Jeylani Marshale and how interesting/great it was that he was so successful when much of his comedy involved parodies of Islamic militants. (Sadly when I went back to the site while writing this I could no longer find that feature to link to here.) Having read that article recently, that headline felt like a punch in the gut. At press time it was not known who was responsible for the shooting, just that he was shot in the chest and head several times by two men armed with pistols. Last year Marshale was threatened by the extremist group al-Shabaab which had forced him to go into hiding for several days. 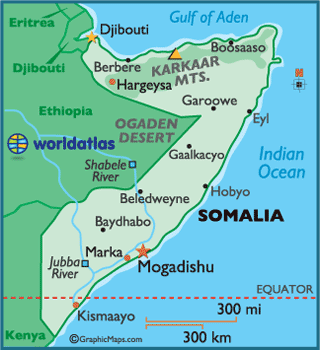 For those of you who don’t know, Somalia hasn’t had a functional national government in 21 years. It’s why we’ve got those not so Captain Morgan-esque Somali pirates, and such. That’s probably why by the time I was done reading The Guardian article and went back to Google News the news about Abdi Jeylani Marshale had disappeared entirely from the World News section and was replaced with “Somali leaders back new constitution”. This is a HUGE deal, it means a new government can be elected later this month. However after that news broke it seemed like Marshale vanished. I found it hard to get excited about Somalia’s constitution when a comedian had just died. Comedians should be off limits anywhere and everywhere; be it Andrew Dice Clay saying, “Hickory, dickory, dock,” in NY or Abdi Jeylani Marshale impersonating Islamic militants in Mogadishu. I don’t understand protesting comedians, sending complaint letters/emails to them, and obviously I don’t understand resorting to violence against them. There are loads of comedians that don’t float my boat, or that rub me the wrong way. Goodness knows there are a bunch of them that make fun of my “type” (or more accurately, “types”)! Guess what I do? I ignore them. Actually, I can’t think of any comedians I go out of my way to avoid. Am I just that damn easy? Previous postHardcore Zen Strikes Again!